Most lacrosse fans and casual supporters know the roots of what we call lacrosse today spread deeply into North American history as an indigenous Native American stick game. The traditional team sport of lacrosse was first witnessed by Euro-Americans in the Great Lakes region of North America in the mid-17th century, but was likely played for hundreds, and maybe thousands, of years prior to the first “non-Native” observation of the game. Early records kept by French Jesuits (the earliest observers of le jeu de la crosse, later lacrosse) and several historical accounts in the following centuries (explorers, settlers, etc.) provide a glimpse of the sport in its traditional context. It should be noted that the earliest accounts of lacrosse are not comprehensive reports. They fail to entirely capture the true cultural complexity of the sport as well as the ceremony associated with tribal gatherings and their cultural and spiritual significance. Lacrosse is unique within the sea of worldwide sports as it holds a direct and meaningful connection for First Nation, Native American, and Aboriginal peoples to their descendants: the first prehistoric cultures to occupy North America. Moreover, lacrosse is dynamic and should not simply be categorized as an “Indian” game. It was played by several tribal groups in the eastern portion of the U.S. and Canada and takes on varying forms (two sticks, differing stick lengths, etc.) that are unique from the Iroquoian-style that is commonly played at the youth, high-school (HS), college, and post-collegiate-levels today. An exhaustive report on the vibrant history of lacrosse will not be provided here, but a list of recommended readings for those interested in the historic, ethnographic, and cultural aspects of the game, as well as the development of the modern sport, is presented below. The start of lacrosse in the Reno-Tahoe area is directly related to the influx of lacrosse-players from other areas. However, this does rule out folks independently starting to play and coach lacrosse on their own. An example of this was witnessed during a used equipment transaction (Craigslist purchase) with a man with no playing experience from Dayton, NV in 2009. He said that he ordered boy’s sticks (10+) to start a team in 2004, but “the program never took off”. Other “independent” scenarios like this may have occurred, but we don’t have that information. Aside from the Dayton outlier of 2004, all the available information points to non-local transplants as the primary vehicles spreading lacrosse into the Tahoe Basin and the Truckee Meadows. This mainly includes folks moving into the area from the east-coast and California; however, former players from several areas “stopped over” for a year or two to work or ski and helped promote the game. Lacrosse was introduced to the Reno-Tahoe by collegiate and post-collegiate transplants on a “top-down” trajectory. Broadly generalized, a top-down system sees post-collegiate or collegiate players bringing lacrosse to the college- or HS-level. The HS players then bring lacrosse to the youth-level. The cycle then inverts as growth becomes “bottom-up” as the youth players flow upward through the programs. Lacrosse in the Reno-Tahoe area was top-down until about 2012-2013 when the youth leagues established a strong hold in the community and began significantly feeding (and sustaining) the HS programs. In the 1960s, post-collegiate players had made their way to Northern California and started lacrosse clubs, primarily on the men’s and boy’s side of the game, for youth and adult players alike (see Palo Alto and NorCal Chapter History). It wasn’t long before these individuals found others with the same interests and started playing regularly. The growth was slow, but soon gained momentum as groups became more organized and established. One such group included a collection of post-collegiate men’s club teams that gathered for a tournament at Lake Tahoe, specifically, at National Park in Tahoe Vista, CA, in 1991. This event - organized by Carl Steiner, a player, coach, official, and administrator from San Francisco - became an annual event each summer at Lake Tahoe and grew into the Lake Tahoe Lacrosse Tournament. The tournament moved from Tahoe Vista to Village Green in Incline Village, Nevada (0.23 miles or 1,175 feet from the Lake) in 1994. This was also the year that the first team formed in the Tahoe Basin: The Tahoe Dawgs. Curt Wegener, an Incline resident who had met Carl and played for LaxWorld at the previous Tahoe tournaments, linked up with a few former players in the area, called in a few former teammates, and formed the Dawgs. The Dawgs, named after a local bar, have been in existence ever since. Curt eventually took over the Tahoe Tournament from Carl in 1997 and runs the late July event - now bigger and better than ever - to this day. Another lacrosse tournament entered the area in 2014: The Lake Tahoe Summit Classic. Though the event says “Tahoe” it is actually held in Truckee, 10-12 miles from the lake (depending if you take State Route 89 or 267). The Truckee event hosted several youth teams and HS-level teams in its first year and is managed by co-partners Lake Placid Lacrosse and ADVNC. The next organized team followed the “top-down” growth trajectory as current and former players got together to form a club team at the University of Nevada, Reno (Nevada). John Henry Giddings, a transfer to Nevada from Occidental College, formed the Nevada college club team in 1999. That year, Nevada played one game under head coach Todd Fields as a lead up the team’s first full season in 2000. In 2000, the team was lead through their inaugural season by head coach Mike Henry who coached Nevada for a few seasons before departing the team to pursue other interests. The team has grown in recent years with the influx of more skilled players and reached a pinnacle in 2014 by winning the first championship at their level (MCLA, WCLL Division II) in program history. Nevada was the only college team in the area until 2013-2014 when Sierra Nevada College (SNC) in Incline Village added men’s and women’s lacrosse. In a slight deviation from the top-down trajectory outlined above, the next group to start playing was a youth group in Truckee, which was led by another east-coast transplant, Paul Cowie. Paul was on a family vacation in the Adirondacks in New York in 2001 and happened to stop by the Lake Placid Tournament (Lake Placid Classic) to watch his brothers and friends play some games. Paul had his sons in tow who asked their Father why they didn’t have lacrosse at home (in Truckee). As soon as they got back from vacation, Paul began teaching lacrosse to his kids and others in the Truckee area. By 2003, a group was formalized that offered co-ed lacrosse instruction to kids of all ages through the local parks and recreation department. The Truckee program is still in operation today and is known as the Truckee Tribe. In 2005, HS-level and youth boys’ lacrosse started in Reno. The Galena HS lacrosse team was formed in early 2005 by Coach Andrew Haas and a group of interested student-athletes. In the spring of 2005, the Galena HS team played Paul Cowie’s youth/middle school team for the first youth/HS game in the Reno-Tahoe area. A South Reno youth lacrosse group was formed that summer by Bill Hogan. Ironically, both Hogan and Haas transplanted from Virginia (separately) and partnered together to help promote lacrosse in Reno. Hogan also opened the first lacrosse store in Reno in 2005: The Lacrosse Zone. The Lacrosse Zone was in operation for a few years and subsequently closed. The inventory was then sold out of Home Field Athletics, an indoor facility, that closed in 2013. In 2006, Reno HS (Huskies), under the leadership of Jim Johnson, formed the second boys’ HS team. Truckee also aged up to the HS-level in 2006 and the team was coached by Paul Cowie. Truckee, Galena, and Reno played frequently throughout 2006-2007. In 2007, Seth Graydon, a teacher within the Washoe County School District (WCSD), formed a team at Damonte Ranch HS (DRHS) which was coached by Bill Tubman in 2007 and 2008. Seth subsequently transferred (immediately after forming the DRHS team) as a teacher to Spanish Springs HS where he started another team. Seth coached Spanish Springs until 2008. Since the Huskies program was in a central area, they “incubated” several players from various schools without teams between 2006 and 2009. As lacrosse became more popular, groups of players and parents branched out of the Huskies program to form new teams. The first team to do this was Bishop Manogue Catholic HS. Manogue fielded a team in 2009 under the leadership of Bud Haley. Wooster HS students would break away and form their own team in 2010 (under JT Troup and Craig Simons). Wooster also absorbed former DRHS players. The remaining players separated and formed the McQueen HS team in 2011 under Coach Steve King. In 2013, independent teams sprouted up at North Valleys HS under Coach Andrew McGovern and Eric McCuskey and at North Tahoe HS under Coach Brett McCann. Both of the new 2013 teams are interesting as North Valleys formed completely from an existing student population and North Tahoe had aged up as a team from the youth level to form a HS JV-level team. The first select, travel, or “all-star” team (Reno eNVy) formed in 2008 under the co-leadership of Bud Haley and Brad Jones. The team did well in regional tournaments including a runner-up finish at Best of West in Las Vegas. A few private (e.g. Tahoe Tikis and Reno Raptors) and league-sponsored (High Sierra Select) travel teams exist today and continue to play at all age levels. Indoor lacrosse has also been hosted in various forms. Indoor lacrosse was started in 2008 at Home Field Athletics for the HS and men’s level and went on through January 2012. Indoor lacrosse was then re-started in late 2012-early 2013 in the form of summer and winter indoor at the Reno Sportsdome where it continues today. True box lacrosse (Boxla) is not currently played in the Reno-Tahoe area, but willing participants have been making efforts to formalize leagues in modified settings. Boys’ lacrosse dominated the lacrosse landscape early-on; however, the Truckee program has provided an outlet for Truckee and North Tahoe girls’ youth players since 2003. In Reno, girls’ lacrosse was initiated at the college-level at Nevada in 2007. That year, Amy Evans, a former HS player that attended Nevada, started a club that ran in conjunction with the men’s team. Girls’ HS lacrosse followed shortly thereafter as the players on the Nevada women’s team wanted to create a pool to help sustain their program. As such, players from the Nevada women’s team went into the community and started two programs in 2008: Reno HS and Galena HS. Spanish Springs fielded a girls’ team the following year in 2009, and several other teams formed in 2013-2014. Girls’ youth lacrosse in Reno was initiated in 2013 by Steve Bulera, and was the second organized group following Truckee. Steve and other interested parents and players created an outlet for girls’ youth players under the age of 15 (that were not in HS) to learn the game of lacrosse. In 2013, the girl’s youth league started as ~10 girls of varying ages learning the game, and by 2014 sprouted to 47 girls under the age of 15 playing in three separate programs: Reno, Sparks, and Truckee-Tahoe. Girls’ lacrosse participation continues to surge heading into the future. Initial program administration and support came in the form of folks donating time, money, and used equipment to programs in need. Once the Nevada college club team got going in 1999-2000 Curt Wegener donated Tahoe Tournament proceeds to the team to help the club cover costs and keep player dues low. Coterminously, individual coaches took on much of the responsibility of organizing teams, inventory, practices, games, and fundraising prior to 2007. In 2007, a group of individuals interested in furthering the sport of lacrosse gathered to form the Tahoe Truckee Lacrosse Association (TTLA). 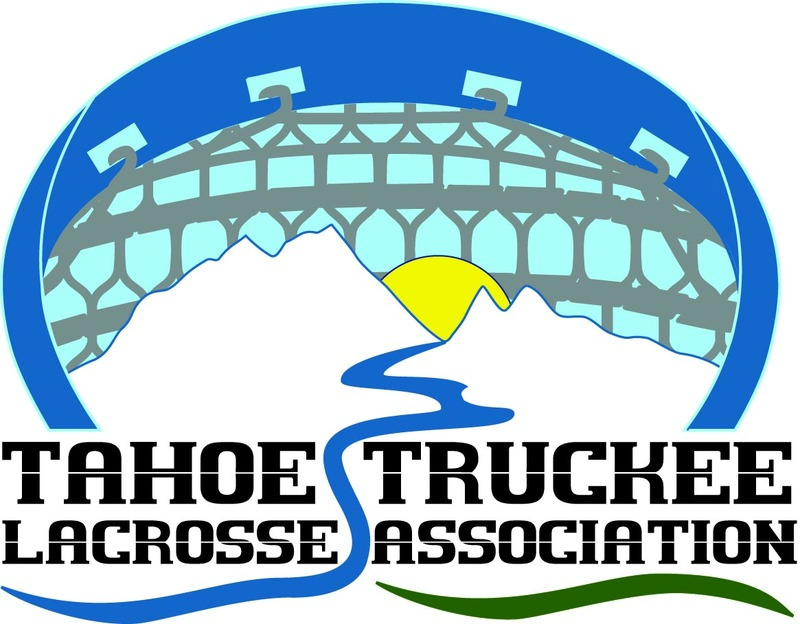 In June 2007, Steve Corrigan, Tom Allen, Paul Cowie, and Colin McDonough met for the initial meeting of what was then termed the Tahoe-Truckee Lacrosse Federation (TTLF). The goals of the group included forming a long-term vision for boys’ and girls’ lacrosse in the area and helping responsibly promote the game in any way possible. The TTLA group touted the programs offered through US Lacrosse as sources of support for new teams in addition to what the TTLA could offer. As time went on, the TTLA board formalized, expanded, and eventually secured 501(c)(3) non-profit status. The board began acting as the de facto fundraising and oversight group for lacrosse in the Reno-Tahoe area. Through the years, the group helped support the startup of several teams, participated in fundraising activities, and provided input for anyone seeking information about lacrosse. The biggest fundraising events include the Squaw Valley Oktoberfest staffed almost entirely by lacrosse volunteers, and the annual Lake Tahoe Lacrosse Tournaments in Incline Village (Men’s and Women’s Open, Men’s Masters, and Boy’s U-19). In 2014, the TTLA reached a significant benchmark as the group surpassed $100,000.00 in donations. The donations went out as gifts, grants, and loans to several lacrosse groups including local teams, officials, and schools. All of the TTLA work to raise the funds was done by volunteers independent of any national body or organization. The TTLA also helped sponsor the local HS lacrosse league, and the league became a DBA of the TTLA. Though several names were used from 2005-2011, the league (which has collectively hosted boys’ and girls’ HS and youth lacrosse) is now known as the High Sierra Lacrosse League (HSLL). The HSLL itself has gone through some iterations of formality, but has improved in organization and administration every year under the watchful eyes of Bud Haley (ca. 2010-2013), Steve Morrow (ca. 2013-Present), and other local volunteers. The HSLL has created schedules, by-laws, a league handbook, helped secure field space, created awareness about lacrosse and managed the “on-field” side of the sport, as well as organized and staffed several local events (jamborees, tournaments, clinics/camps, etc.). The HSLL has also recruited and trained officials and helped create safe playing environments for local players. In conjunction with the progenitors of the HSLL, the TTLA organized the first-ever US Lacrosse Level 1 Officiating Training in Reno in 2007 to help create a better officiating product on the field. Thanks are due to the NorCal Chapter of US Lacrosse and Curt Wegener (from the Lake Tahoe Lacrosse Tournament) for helping TTLA make contact with Gary Alabaster and Tim Collins who ran the training session. The TTLA and the HSLL also worked to host clinics for boy’s coaches (USL CEP Level 1) to improve the quality and character of the coaching. The first USL CEP Level 1 clinic was held in Reno in 2009 and the second was in 2014. In 2012 and 2013 the league worked with local officials who formed the Northern Nevada Lacrosse Officials Association (NNLOA). The NNLOA contracts independently with the league and has worked hard to recruit and train officials to help put the best possible product on the field. The HSLL and the TTLA have always been closely tethered to one another, and in many ways shared the task of responsibly promoting lacrosse. 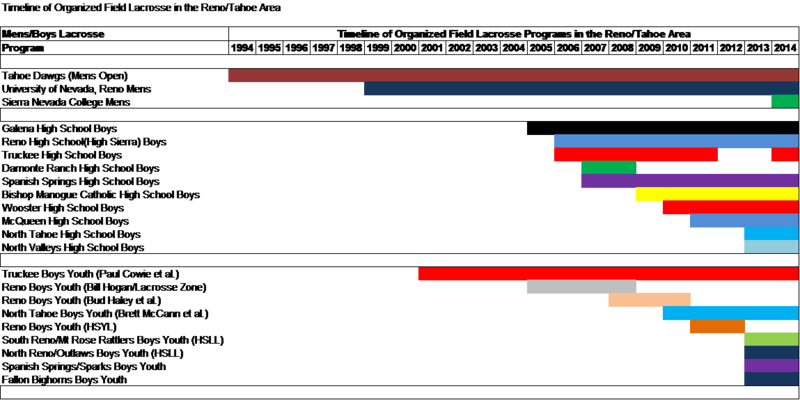 In 2013, the growth of the HSLL at all levels had reached a point that necessitated a revision in the structures of both groups. 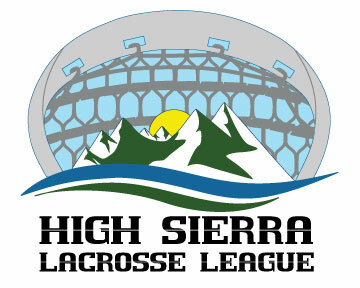 Both organizations were unified under the banner of “High Sierra Lacrosse”, but the HSLL and the TTLA needed a “refurbishment” and a revised identity. As such, the boards of both groups decided to unify under High Sierra Lacrosse and slightly revise their internal structure(s) and overall responsibilities. In the spring of 2014, the TTLA revised their name and became the High Sierra Lacrosse Foundation (HSLF or Foundation) while the HSLL (League) retained their title. The Foundation provides funding and oversight, while the League manages the game on the field. With unified branding and clear paths forward (as the Foundation and the League), the groups venture into the future in administrative harmony. In late 2013 and early 2014 groups from northern Nevada (Reno) and southern Nevada (Las Vegas) opened a formal dialog regarding the formation of a new US Lacrosse (USL) Chapter. While northern and southern Nevada are geographically distinct and separated by nearly 450 miles (7+ hour car ride or 1+hour flight), the groups are located within the same state and entitled to chapterhood together. As the provisional statewide board was looking for equal representation from the north and south (or at least some Northern Nevada representation), the northern Nevada group, High Sierra Lacrosse, added three representatives to the founding BOD of the Nevada Chapter: Glenn Meyer, Peter Leuty, and Robert Novelli. Statewide USL Chapter status was subsequently announced via email in May 2014 as Nevada, North Florida, and Louisiana were added to the USL network. The groups that comprise High Sierra Lacrosse hope to continuing working with all local and national groups to produce the best possible lacrosse experience for everyone in the Reno-Tahoe area. 2011 Lacrosse: A History of the Game. Johns Hopkins University Press. 1998 Lacrosse: The National Game of the Iroquois. Holiday House. 1998 Lacrosse Warrior: The Life of Mohawk Lacrosse Champion Gaylord Powless. Lorimer Press. 2007 American Indian Lacrosse: Little Brother of War. Johns Hopkins University Press. 2007 Lacrosse Legends of the First Americans. Johns Hopkins University Press.